Unlike national baseball writers, I have virtually no inside sources with “rival executives” or sources within the Toronto Blue Jays organization. Despite the lack of insider knowledge, I think the prospect of a Blue Jays rebuild is a bad idea. At least, it is at this very moment. To the outside onlookers, it makes perfect sense; this struggling team has very little chance of making the playoffs, therefore it’s time to sell off all assets and stockpile as many prospects as possible and build for tomorrow. But it’s much more complicated than that with the Blue Jays. I think that’s why you see writers like Jon Heyman, Buster Olney and Jon Morosi writing pieces about the Blue Jays’ apparent need to deal their big players, and said writers’ musings on where the Blue Jays should trade their star players to. At last check of their playoff odds, FanGraphs pegs them at 21.2% to make the postseason. Not impossible, but certainly an uphill battle for the Blue Jays as the first half of their season has come to a close. The front office definitely won’t replicate what Alex Anthopoulos did at the whirlwind 2015 trade deadline, but what you may see Mark Shapiro and Ross Atkins do is something similar to what the club did in 2012: acquiring J.A. Happ, even though the team was well out of the playoff race. They had virtually no shot at making the postseason in July of 2012, but what Anthopoulos did was acquire an arm the club needed for 2012 and beyond. The Jays had three starters go down in the span of one week, so the club desperately needed starting pitching help. In retrospect, it was a lopsided trade for a mediocre starter at the time in J.A. Happ, but that’s the blueprint for what Shapiro and Atkins may do at this trade deadline. With Marco Estrada and Francisco Liriano as pending free agents, the Blue Jays will likely have two voids to fill in the starting rotation this winter. One of those spots may be filled by Joe Biagini, but at the very least, the Jays need to get one starter this winter. If the price is right, why not get one now instead? The truth is, the Blue Jays’ pending free agents don’t have very much value on the trade market right now. Jose Bautista, Marco Estrada and Francisco Liriano aren’t bringing back much in value anyway. “Anybody need an up-and-down starter for your playoff run? Anybody? Who needs a 36-year-old outfielder? Hello? Is this thing on?” That’s a depiction of how conversations might go between the Blue Jays and any team they’d be pedaling Bautista, Estrada and Liriano to. As much as all three of those players have struggled this season, they’re likely more valuable to the Blue Jays than any prospective buyer out there. So if the Jays are only going to get pennies on the dollar, why not just play out the season and see how things go? The prospect of moving big stars like Josh Donaldson or cost-controllable pitchers like Marcus Stroman and Aaron Sanchez is much more arduous. Many of those national baseball writers believe the Blue Jays should trade away their most valuable trade chips in an attempt to restock the farm system and help this club reset for another postseason road down the future. But here’s the existential question – why punt today if tomorrow never comes? Yes, the Chicago Cubs and the Houston Astros are the perfect examples of a successful rebuild. But what if it doesn’t work? What if the Blue Jays tear it down a semi-successful core of players and the club takes much longer than expected to contend once again? People are calling for the Blue Jays to take this opportunity to rebuild. Keep in mind that after 1993, it took 22 years to build the Blue Jays into a contending team again. Consider all the good will this fan base has generated over the past two years. Would this front office would suddenly do an about-face and risk jeopardizing all that renewed interest in the Blue Jays? More importantly, would the Jays risk the immediate financial impact of a rebuild? Given the track record of Mark Shapiro in Cleveland, I’m confident the Blue Jays will return to the postseason sometime during his tenure as President and CEO of the Blue Jays. The million-dollar question is “can the Jays become perennial contenders once again”? On the subject of potentially trading Josh Donaldson; not only would the Blue Jays be selling low right now, but if they were truly looking to maximize the market, wouldn’t this coming offseason be the time to deal Donaldson? Shapiro and Atkins are in a very precarious position because not only do they have to put a winning product on the field, they have to continue to put butts in the seats. That’s nearly impossible of the on-field product is substandard. But on the flip side, if the team is a contender, fans will flock to the ballpark. Even if the Jays go in the gutter the rest of this season, at least there’s next year. If the Blue Jays hang onto Donaldson or even sign him to a contract extension, it’s much easier to sell hope to fans when he’s in a Blue Jays uniform. It’s extremely hard to envision the Blue Jays contending without Donaldson. Hypothetical situation here: if the Blue Jays trade Donaldson tomorrow, how does that affect ticket sales moving forward? How does that merchandise sales, along with radio and TV ratings? I’m willing to bet a trade of that magnitude it’s detrimental to all those aspects of Blue Jays Business Operations. Unless there was an equally exciting free agent signing or a player of high calibre coming back in return, no matter how to slice it, the prospect of a Josh Donaldson trade is a tough sell. So how do you sell it? You don’t. You hang onto Donaldson, see if you can maybe extend him another three-to-four years this winter. Failing that, you go back to the drawing board in 2018 and hope things pan out better for the team. As this Blue Jays front office will surely tell you, there are no absolutes approaching this MLB trade deadline. The Blue Jays won’t strictly be buyers; they won’t strictly be sellers. Shapiro mentioned the club may take some hybrid approach to the July 31st deadline which fulfills immediate and longer-term needs for the club. But just because the Blue Jays aren’t within chasing distance of a playoff spot, doesn’t mean this whole thing needs to be blown up. 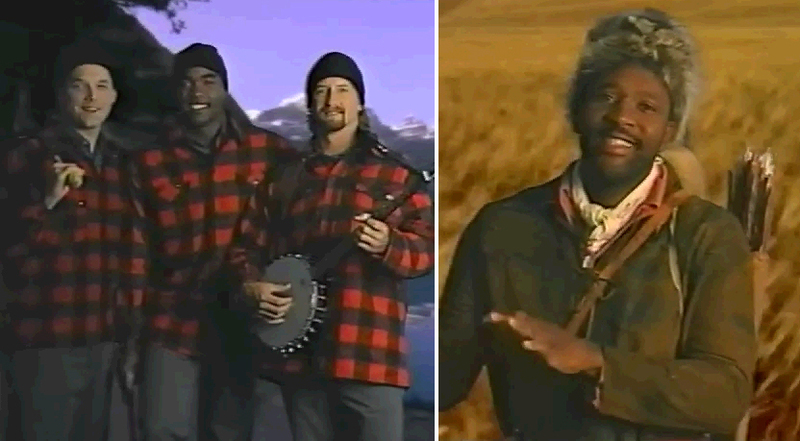 The Blue Jays Long-Lost ‘This Land is Your Land’ Video is Back! 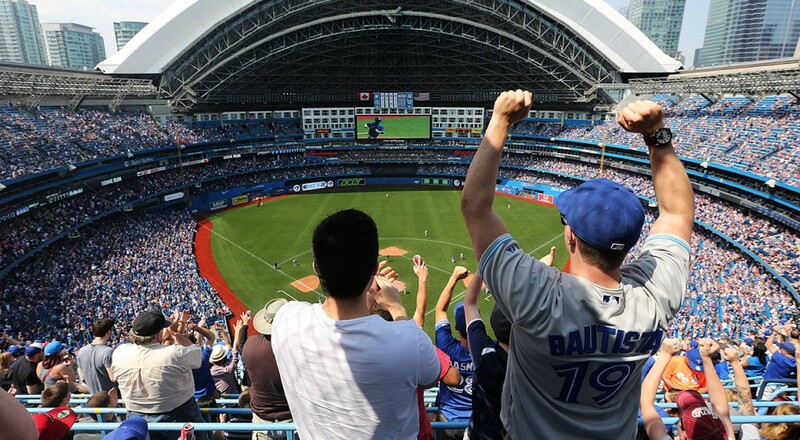 Saturday Mid-Afternoon or Evening Home Games on the Horizon for the Blue Jays? Even if you blow up the team, and bring in new prospects, I don’t think Gibbons is the right one to manage that kind of team. Gibbons is a very laid back manager, and let’s his professionals go to work. That can be a good thing at times, and sometimes not. The Blue Jays have always lacked the fundamentals, but made up for it over the last few years with raw talent. It might be time to get back to the fundamentals.